The vast majority of court cases will settle outside of the court room. In fact, you might be surprised to learn that 96% of civil cases are never presented before a judge. The task of a lawyer is to understand when it's appropriate to settle a file, and when a client should be advised to continue fighting. No matter the unique nuances of your legal case, negotiating a settlement can be a complicated experience for any individual. After all, it's natural for both sides in a negotiation to seek out the deal that's most in tune with their best interests. Unfortunately, as with most things in life, everyone can't always get what they want. The art of negotiation is something that any lawyer needs to learn on the path to success, but some are more adept than others when it comes to getting a client's point across in a court room. Often, it takes decades of experience and hard work for a legal representative to obtain the expertise and knowledge they need to design a bullet-proof case for their client. At Mitts Law, experience is at the forefront of everything we do. 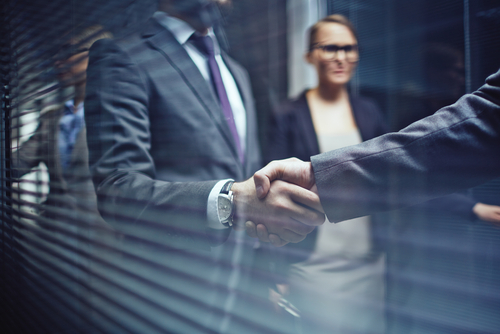 We believe that our in-depth knowledge of the legal spheres in which we work give us the power to craft impeccable negotiation settlements for our clients. In civil law cases, it's crucial that each element of the case has been properly identified and assessed before a negotiation can be reached. Most people forget that these processes can take time, and often involve on-going information gathering, alongside organized record-keeping. Without the right information, it would be unwise to settle a case, as the precedent cases that can be used as guidelines to establish compensation and similar outcomes can only be used with an in-depth knowledge of each case. While these precedents only serve as a bench mark, they also represent a useful place to start determining whether a negotiation is appropriate, or not. Crucially, it's worth noting that any settlement, no matter the legal background, will require compromise from both parties. If the parties involved in a case aren't able to collaborate over a settlement, then a negotiation simply cannot go forward. Because of this, any good lawyer knows that the art of negotiating settlements is one that requires attention-to-detail, focus, and patience. Should You Consider a Settlement? How hard and how long you should fight for your desired outcome is something that will depend on the unique circumstances of your case. Though your lawyer will be available to give you guidance regarding the precedents of your case, and the outcomes that you might be able to expect in certain circumstances, it's crucial to remember that every case is different. At Mitts Law, we work tirelessly to pursue your best interests in any case, and will offer experienced legal guidance during every step of your experience with the courts. Though we cannot tell you when to settle, we can give you the confidence and navigation that you need to determine the best legal action for your case. To learn more about the extensive resources that we can access for your case, or to speak to one of our expert attorneys about compensation and settlement negotiations, please call us today on (215) 866-0110.